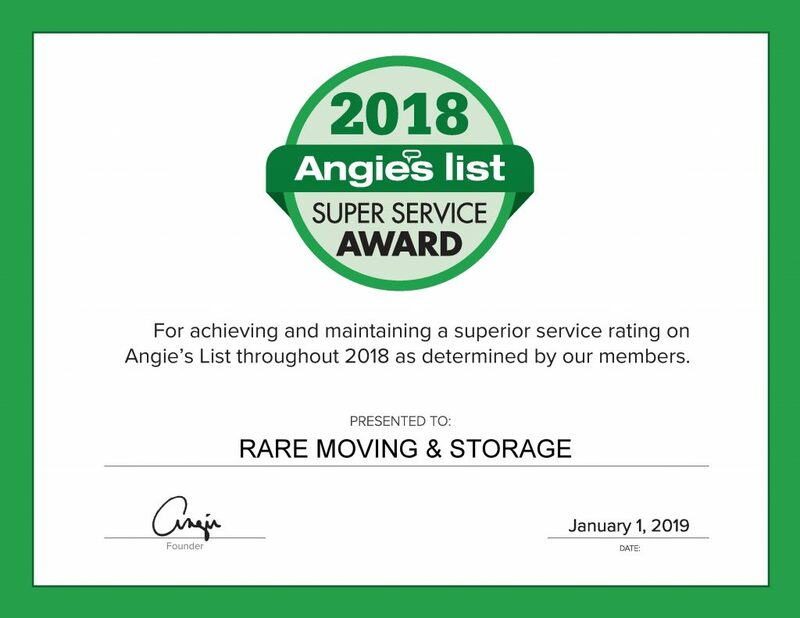 Rare Moving & Storage is very happy to receive this award from Angie’s List. Our goal is to provide excellent personalized service through our versatile moving solutions and we are pleased to know that we are achieving this goal. What does it mean to receive a Super Service Award from Angie’s List? Well, it means that our customers continue to trust us in providing excellent service. The award is given by Angie’s List but the winners are determined by the customers and their reviews. Businesses need a minimum number of reviews to qualify and to win it. As always, we are striving to provide a better experience to our customers which is why we value all the feedback everyone has given us. If you are thinking of moving anytime soon, give us a call and we promise to give you the service that you deserve! There is no way to get around the rain, snow and icy weather for the next few months if you must move. We all know how New England weather is so unpredictable, if you’re new here, I wish you the best of luck. Just a couple days ago, we went through a snow storm, a negative degree weather, a 50-degree weather, and lastly mucky rainy day. All in a span of 5 days. However, you can properly prepare with a few quick tips to alleviate frustrations. 1. Shovel your walkway, driveway or parking area where the truck needs to park. The last thing you want to do is pay for the movers to start the day performing this task. However, if you are not capable of shoveling, call the moving company and inform them so they can get a team out to perform the task the day prior. This goes for both houses. 2. If you have hardwood floors go to your local hardware store and place down contact paper for the movers to walk over. This simple step avoids the interior floors pooling water and salt being tracked from room to room throughout your home. If you have carpets seek carpet shield. 3. Utilize the daylight. Since daylight is scarce during the winter solace, you want to start as early as possible so you can also finish as early as possible. Keeping in mind, once the night approaches the temperature drops significantly resulting in icy conditions. No one wants to fall and run the risk of causing damages. Everyone seems to remain smiling and positive with energy while taking in sun rays. I hope these tips help during the winter moves. If you have any other questions or simply want to pick my brain to contact me and I will gladly make some suggestions to optimize your moving experience. Most of us are guilty of hoarding things at some point. We tend to keep stuff because of their value, whether sentimental or not. This was the year that you started living on your own and we get it, you are still kind of in the trial phase. But now, you are ready to face the new year in a clean slate, literally. Unworn clothes, unused bags, and hundreds of documents just lying around your household and it makes your home smaller to move around in. The moment you hold off on folding your clothes or disposing of papers bags or boxes, that where it usually begins. 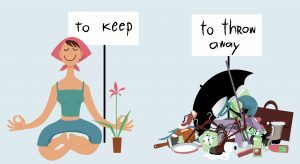 If you understand what I am talking about, then it is time to start decluttering! The first step is always the hardest. But you can make the entire process as organized as possible. Start by separating your house into sections. You can either start from one room to the next or pick a section such as clothes. The easiest way to look at things without being sentimental is by asking basic questions while sorting them out like “Have I worn this piece of material the past year?”. Doing so will not only make your process quicker but also more effective. You can also take the extra step and donate old clothes or other things to a Goodwill store or charities. You will not only be helping out other people but the environment as well! Living in the world of technology, you would think that we are all digital now, but think again. Most of us still choose to have our mails sent to us physically. If you don’t clean them up on the regular, these paper mails tend to pile up pretty quickly, especially if you hoard even the junk mails. A good start to this problem is to allot a like an hour or two in a day to sort out these mails and organize them by their importance. Once you have sorted them out, go through each one of them and get rid of the mails that you can toss out! Assign a place in your household where you can store the important documents for future reference. Once you start this one out, it is important to stay committed to this routine. Pick a day, allot an hour or two, and stick with this routine! These will help you not get stuck in this mess again in the future. After following through on these steps, you still find yourself stuck with a couple of things that you just cannot get rid of. Your grandmother gave you this piece of furniture, but it just doesn’t go with your room. There are some things that we cannot just part with. Renting a storage is the best solution for this. With a storage rental, you can toss away these things out of your house but still be in possession with it. It is just good to take it out of your eyesight. Rare Moving and Storage in Boston offers storage rentals that are safe, secured, and climate-controlled so you do not have to worry about the things you put in there. Each unit offers plenty of room for all kinds of belongings! If you ever decide on cleaning up your household, check our website or call us to get more information about our storage rentals. When you are moving, everything is just extra difficult for you and everyone involved. You literally must plan everything from the beginning and try to follow that plan as much as you could. If you think that packing your clothes or your kitchen items are hard, wait till you have to pack and move your large appliances to your new home. The process of moving appliances requires a great deal of planning and lots of extra precautions. These huge household appliances need more than just brute strength to be safely moved from point A to point B. A lot of movers don’t tend to move with their household appliances for a couple of reasons. One is that they already have new household appliances included in the new place they are moving in to. Second, the household appliances they currently own are somewhat outdated and are inefficient anymore. In addition to that, the place that they are moving into might have a different set-up, which won’t allow the current appliances to fit as nicely. There are more reasons why people do not tend to move with their appliances, but these are the main ones. Here are a couple of tips and tricks to move your household appliances to your new house safely. As I have mentioned earlier, moving appliances requires a great deal of planning. A part of this is getting the necessary equipment to allow safe and easy move for your large appliances. Make sure to purchase or rent a high-quality dolly. This is something you cannot afford to forget. A dolly will be your extra person in this difficult time. Sliding Pads are the next helper you are going to need. These will allow you to slide the appliances without damaging your floor. Moving this big household appliance is a process. Although when done right, it’s just all about the heavy lifting and proper moving. There are just a couple of things you have to keep in mind. Make sure to disconnect your refrigerator to its power supply a day before you are moving. Take out all removable parts and empty the content! Clean the inside thoroughly and let it dry. Coil and tape the cord so it won’t be hanging out while you are moving. Before loading it up on the dolly, use the straps to secure the doors and keep it from opening. You don’t want to damage your appliance and have oil leaking inside it so make sure to keep it upright on all times. Once you’ve settled in, keep it unplugged for at least a couple of hours to make sure the oil is stabilized. RARE Moving and Storage has a team of highly-experienced professionals when it comes to moving appliances. Combined with our skills and proper equipment, we move huge and large household appliances of all types safely and efficiently. Most people plan their moving dates during the summer season mostly because kids are out of school or in camps which makes it easier for parents to focus on packing the household. Also, the weather allows them to move freely and there are technically less dangers in the road, especially if moving far away. But sometimes, you get that unexpected promotion and you decide to move during the winter season. Although it is possible to do, there are a couple of things to consider before doing so. First thing to consider is the weather. The temperature is going to drop really bad especially if you’re in Boston or moving to Boston. Best thing to do is to put aside a bunch of layers for your moving date. Layers are better as opposed to wearing one thick winter coat. You will be lifting a lot during this time and your winter coat will be in the way while you are doing so. Layers allows your body to be free, plus, if you get a little heated up while you are lifting, you can always remove one layer of clothing to get you back in the groove. Secondly, consider packing your things the second you know when the moving date is. It is way easier to pack your stuff in advance you can be more organized, especially if you have more than one room to pack. Our advice is to dedicate an hour or two a day per room to packing. You can get a lot more done this way instead of allotting a day or two for the entire house. Once those things are done, next thing you want to consider is your drive and this includes your path going to your vehicle. 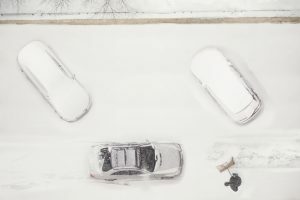 Winter season’s cold temperatures causes the driveways to ice, so you have to keep in mind to clear the path of ice and other obstacles before moving stuff to your vehicle. In any season, consider hiring Rare Moving for our services. Our professional team of movers are experts in their jobs and are here to help your move to be as easy as possible. We will be with you every step of the way, from packing to driving to unpacking. This is why we won Best of Boston Moving Companies in 2017. Nearly 40 million Americans choose to move every year. While the stresses of moving are well documented, one thing families realize all too well is that moving can be especially difficult for children, who crave consistency and routine. How can you help your children to cope with the moving process? Here are a few important things to keep in mind to smooth the transition and make moving an exciting challenge for your kids, rather than a harrowing one. Let your kids know as soon as possible that the move will be happening. Why? This gives your child time to process the move and what it will mean for them, so that by the time the big day comes, it’s no longer a surprise. This can also give you time to address any questions and concerns they’ll likely have. Not to mention, little children often have big ears, and it may be harder than you think to keep it a secret. If you haven’t yet decided on a house or apartment, let your child express what they think is important in a new home. 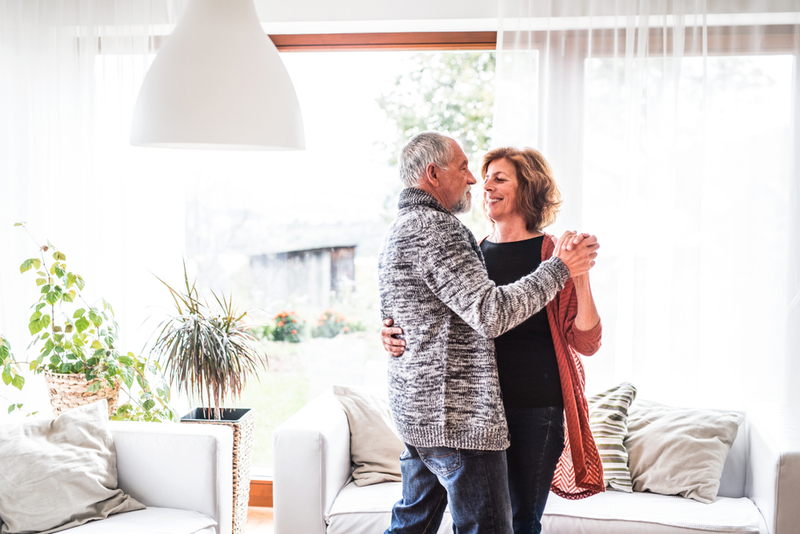 Even if you can’t honor all their desires, making them a part of the decision process will let them feel more control of the situation, and make the move feel like a choice made as a family, as opposed to something being done to them. If possible, plan a short trip to visit your new city so that your child can get a feel for their new home. Knowing your child’s interests, do research ahead of time and find activities they can be excited about. Making a fun museum or park visit a part of your trip can be a good idea—it will encourage your child to associate their new home with positive memories. One of the most common concerns children express about the moving process is staying in touch with old friends. Luckily, the technology available today makes it easier than ever to maintain friendships even across long distances. Make sure your child has everything they need—whether that’s phone numbers, addresses, or Instagram handles—to keep in communication. If possible, it can be a great idea to invite one of your child’s current friends for a weekend visit sometime in the future. This will help everyone maintain a positive outlook about what the move will mean. What kid doesn’t have a secret wish for what their room could look like? Give your child something to look forward to—their new bedroom. If they’ve been asking for purple walls, dangling beads in the doorway, or even a canopy, this can be an easy way to get your kids to look forward to the move. You can also suggest ideas, such as using chalkboard paint for a “drawable” wall or installing a loft bed for more desk space. 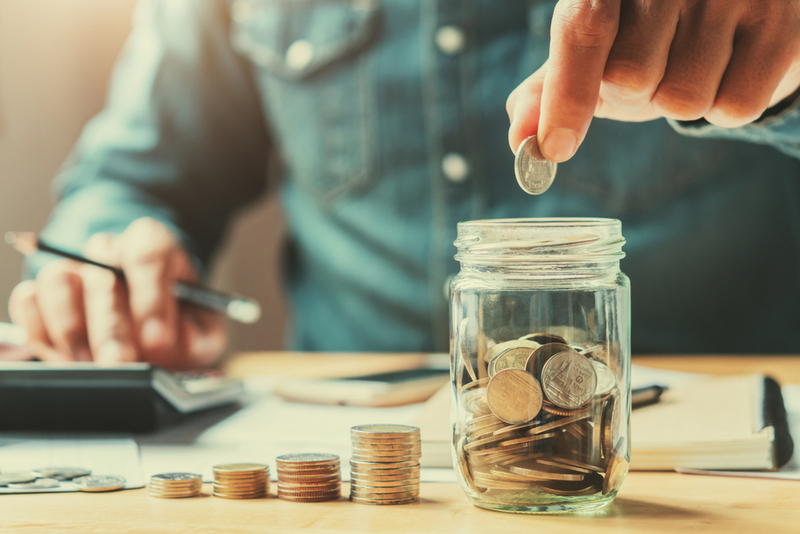 Older kids can even be given a budget and the freedom to choose for themselves. When you’re moving your family to a new city, it’s important to take steps to mitigate stress so that the move is a positive experience for everyone involved. For more moving tips and tricks, consult the moving experts at RARE Moving & Storage. The moving process is stressful and overwhelming. Pets especially tend to get easily stressed when there is unexpected activity in their home with unfamiliar people. 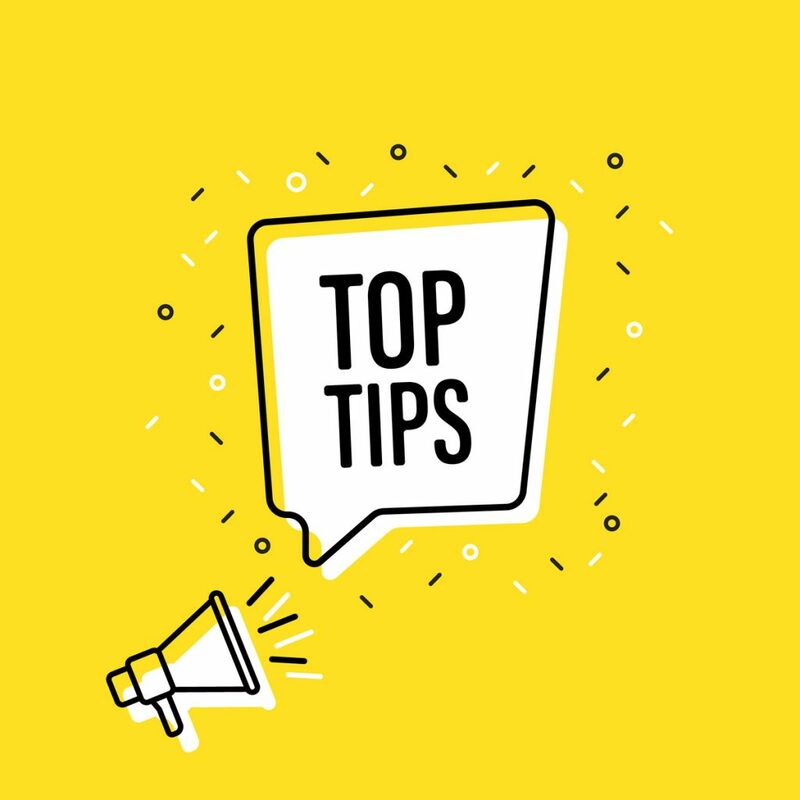 It’s a good idea to pack an overnight bag of essentials for yourself for the first couple of nights, just in case something happens during the move. It’s a good idea for you to do the same for your beloved pet – make sure you have the things that are mission critical for their wellbeing. Make sure there is enough food, litter, toys, grooming tools, etc. to keep your pet comfortable after the move and for the first couple of days when you’re still getting settled. Rushing to the store to get last minute necessities will only add to an already stressful day. You should absolutely inform your veterinarian before you move! Just like you would update your doctor and dentist with your new address, you should contact your veterinarian before you move so they are aware that your pets will also be undergoing a move. Your vet may recommend a trusted vet that’s closer to your new location and may be able to give you any records or prescriptions your pet may need. Your vet may also recommend a vet close to your new area. Moving boxes and keeping things organized is already very stressful – don’t add to the stress by having small animals underfoot. Give yourself and movers room to pack and organize your boxes by keeping your pet in a separate, quiet room. Having strangers come into their home will naturally stress them out, and they are sensitive to emotions. Give yourself and your movers room by keeping your pet in a separate room that is as quiet as possible. We recommend having your pets stay at a friend’s house for a day or two. It seems like common sense, but make sure your pets ride with you, and not in the moving truck. A suitably-sized traveling carrier can be placed in the back seat, or even your lap when you travel to your new address. Depending on the distance of your move, you may need to stop for a meal break or to stretch. 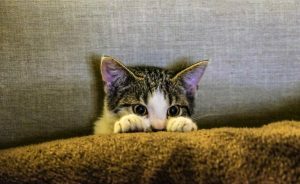 If you decide to let your pet out to stretch as well, make sure to keep a close eye on them. Animals under stress do unpredictable things (like run away), and you don’t want to add more stress to your move. A new location may be stressful, and it is recommended that you keep your pet in their carrier until they reach their ultimate destination. Your pet doesn’t understand that they are now living in a new location. It will be a new completely new environment, with new smells and sounds and can be overwhelming to them. Make sure you have unpacked a small room with items they are used to seeing and smelling and keep them in there for a day or two. Slowly acclimate them to their new surroundings and help them feel comfortable. After you’ve settled into your new home, update your pet’s information as you would with your own – update their tags and microchips with your new address and phone number, and find the fastest route to the veterinarians.